Mark Lloyd now leads the Cuestars Championship Tour rankings. The 19-year-old, from Gosport, lost 2-1 in the final of the third leg at Top Spot Snooker Club, Havant, writes Tim Dunkley. 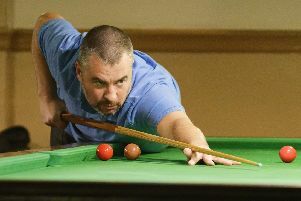 His opponent Sean Harvey took the opening frame with a break of 60 but missed a black off the spot on a run of 39 in the next. Lloyd replied with a 44 and eventually squared the match on the colours. But the former national junior champion, who pocketed £100 prize money, was destined to have only one more shot. He broke off in the decider. Surrey-based Harvey fired in a long red and by the time he left the table only pink and black remained and 121 points were on the scoreboard. Meanwhile, Jamie Wilson made it through to the quarter-finals where the 15-year-old was defeated 2-0 by Oxford’s Ross Barker. Three of the region’s cuemen made last-16 exits. 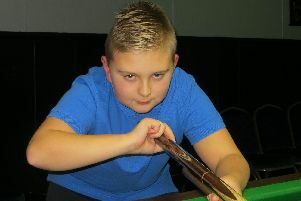 Elliott Weston, on home tables, won his round-robin group but went out 2-0 to Mickey Joyce, from Basingstoke. James Budd lost 2-0 to Barker. And Pascal Richard was knocked out 2-0 by Londoner Ronnie Blake.